Floyd played his amateur hockey in Northern Ontario Hockey Association with Falconbridge-Garson. 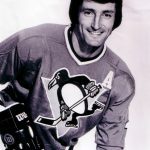 In 1969, after ]r. Hockey, he was invited to the Fort Wayne Comets of the International Hockey League and played with them for one year. In preparation for the 1970-71 hockey season he accepted an invitation to play summer hockey in ]ohannesburg, South Africa. 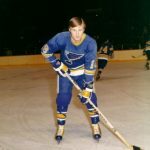 Returning to North America, in September 1970 he signed as a free agent with the St. Louis Blues and played a regular shift for the CHL’s Kansas City Blues. 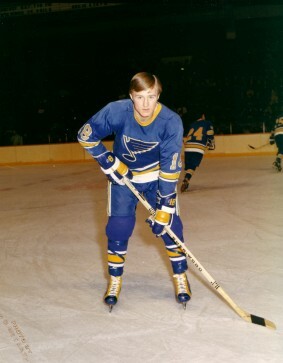 In 71-72 after playing 49 games with the St. Louis Blues in the NHL he was sent to the Denver Spurs. 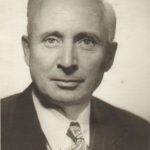 With the determined play and leadership of Floyd as Captain, the Spurs went on to win the League Championship and the WHL Championship and the Lester Patrick Cup. This was the first Championship cup for the Denver Spurs and the first of three Championship rings for the resolute Thomson. He carried the nickname, “White-Pine” Thomson, which he inherited from his dad, Fred “White-Pine” Thomson. Even though Thomson went through the usual growing pains as an NHL rookie it did not take long for him to be recognized as one of the most focused players in the NHL. He may not have been the most valuable player on the ice, but according to teammate Red Berenson he was certainly the most valuable person on the ice, a man’s man. 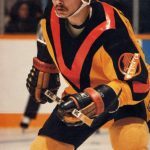 In 1978-79 he was sent to the Salt Lake Golden Eagles in the CHL. He made the CHI Second All-Star team in 1978 and the First All-Star Team in 1979 when he led team scoring with 41 goals and 40 assists in 76 games. 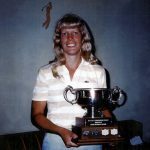 He captained the team for three years taking them to Central Hockey League Championships, one in 1979-80 and again in 1980-81, winning two more championships. One of the awards he was most proud of is the Iron Man Award given to him in 1978 by the CHL for total effort, endurance and commitment. 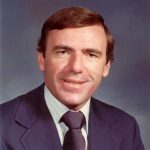 Floyd retired in 1982 after thirteen outstanding and distinguished years in professional hockey and moved to Dunchurch. Floyd Thomson’s hockey career was one of dedication, hard work and perseverance. He can proudly lay claim to earning the honour as a very worthy inductee of the Bobby Orr Hall of Fame.